Just like omelet, I love making frittata to use up whatever leftovers we have in the refrigerator. Some of you might be wondering what's the difference between the two. Well, it's actually all about whether you fold the filling or not. 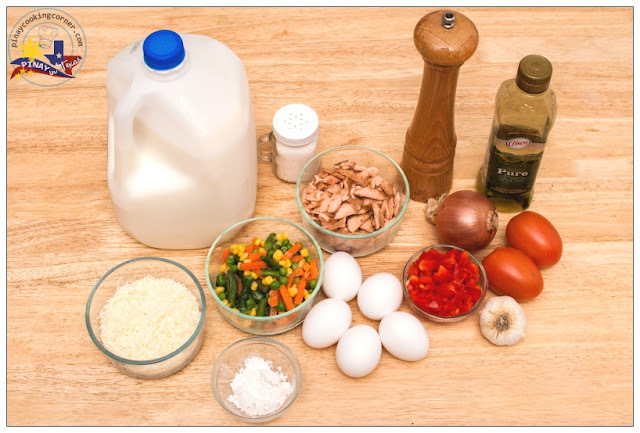 Omelets have the egg mixture cooked and folded around the filling, while a frittata just mixes it all up and is cooked open faced. But both are very simple to throw together. You can use any meat, vegetable or cheese you have on hand. 1. Preheat the over to 350°F. Slightly grease a cupcake pan. In a skillet over medium heat, saute onions, garlic, and tomatoes in olive oil for a minute. Add mixed vegetables and bell pepper and saute for 2 minutes or until bell pepper is cooked but still crisp. Add salmon and saute until well combined with the vegetables. 2. Beat eggs then add milk, salt and ground black pepper and continue beating until well combined. Add all-purpose flour and mix until free of lumps. Add about 3 Tbsp of shredded cheese. Mix until well combined. 3. 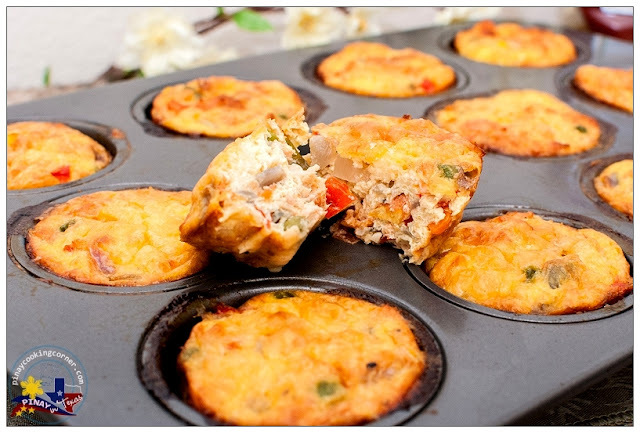 Divide the sauteed salmon and vegetables into the cups of the prepared cupcake pan. Pour the egg mixture over salmon and veggies in each cup. Mix with fork to get the egg mixture all around the salmon and veggies. 4. 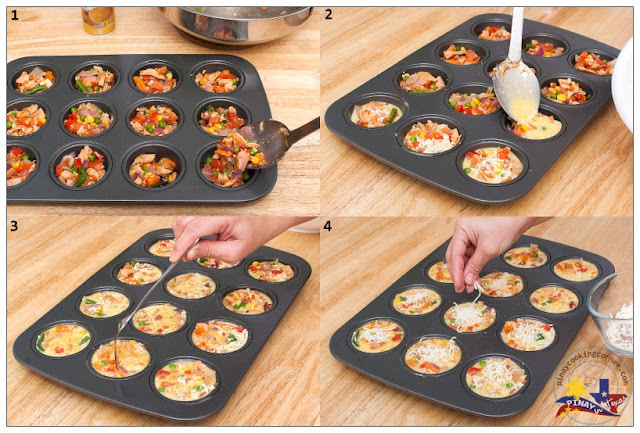 Sprinkle remaining cheese on top and bake for 25 - 30 minutes or until golden brown. 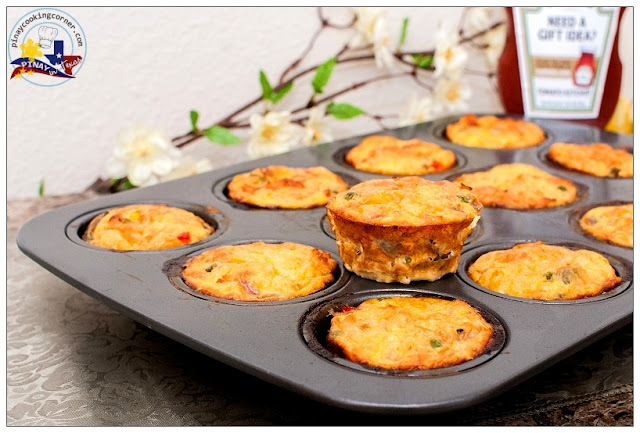 Using a spatula, loosen the fritatas from the cupcake pan. Serve for breakfast and even for lunch or dinner. What a terrific idea for leftover salmon. It's so expensive that I keep even the smallest pieces, but usually they end up in salads. I'd never thought to use them in an egg dish. love to try this. Those cups are tempting me. Perfect for meatless Fridays, Tina. Love this versatile recipe, any leftover bits can be thrown in. Baking cuts down on the fuss of frying individually. Oh my! These look So good! What is it about salmon and eggs? I love that combination flavor. I'm going to have to try this one! 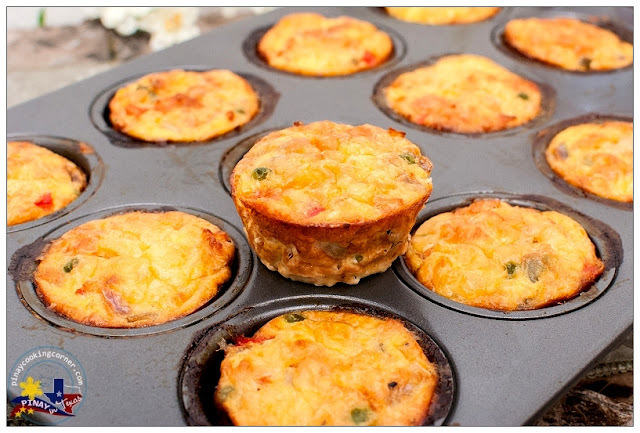 Oh Tina, just found this by search...those look divine! Leftover Salmon...that is genius idea! Thank you so much for the mention, I appreciate it!